Some may assume that rural schools are the small minority, but the numbers don’t lie — more than one in four of the nation’s public schools can be categorized as rural, and almost one in six American students live in a rural area. California is home to one of the nation’s highest percentages of small rural districts and America’s 16th largest absolute rural student enrollment. California schools also serve the largest percentage of rural English learner students in the nation and a large majority of rural students who identify as non-White. Why Rural Matters 2015-16: Understanding the Changing Landscape, a new report published this month from The Rural School and Community Trust, sheds light on rural education throughout the nation. 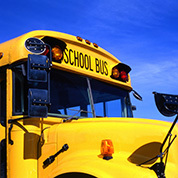 Some rural schools are doing well, yet others are facing serious challenges. California’s rural schools were assigned a ranking that places our state exactly in the middle of the nation. “While some rural schools thrive, far too many rural students face nothing less than a national emergency. Many rural schools and districts face vastly inequitable funding and simply cannot provide the opportunities that many suburban and urban schools do,” said Rural School and Community Trust Executive Director Robert Mahaffey in a press release about the report. Looking at National Assessment of Educational Progress results, the report found that at the national level, rural students are learning math, reading and science at a parallel pace to their suburban peers. The national average rural high school graduation rate is at a promising 87 percent. Yet, these snippets of information are negated by other areas where rural schools could use improvement. For instance, in California and Oregon, less than one in four rural high school juniors and seniors take the ACT or SAT. California’s rural NAEP scores usually place among the nation’s lowest states. Each state was then assigned a single numerical “Priority” ranking based on scores generated within each of the five gauges. California was assigned a Priority ranking that places it as the 25th state most in need of extra support for rural students. California spends $5,303 per rural pupil, almost $1,000 less than the national average of $6,067 per rural pupil. The Student and Family Diversity gauge was categorized as “urgent,” due to large percentages of rural minority students, rural EL students, rural students eligible for free or reduced-price lunches and rural students experiencing mobility in California. Rural NAEP performance scores in math, reading and science were low enough to earn an “urgent” indicator in the Educational Outcomes gauge. The College Readiness gauge garnered mixed results. For example, while the percent of rural juniors and seniors taking at least one Advanced Placement course was high, the percent of rural juniors and seniors taking the ACT or SAT was ranked at 1 of 50, the most crucial and urgent ranking possible. For a closer look at how California ranked in the report, see page 109 of the report here.